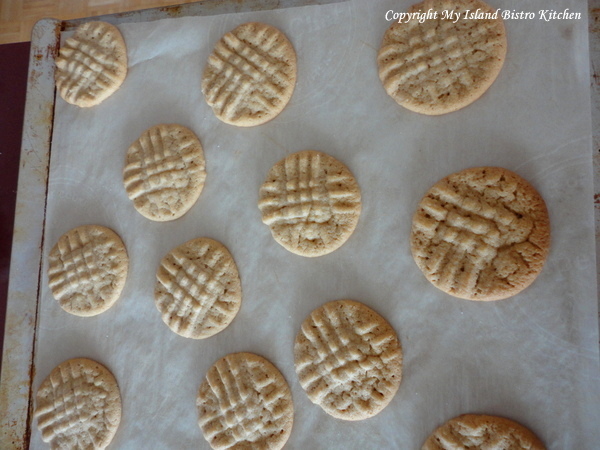 My September Cookie of the Month is an old favourite – peanut butter cookies. These cookies take very few ingredients and nothing out of the ordinary that would not be in most cupboards. They have been found in many lunchboxes for decades. 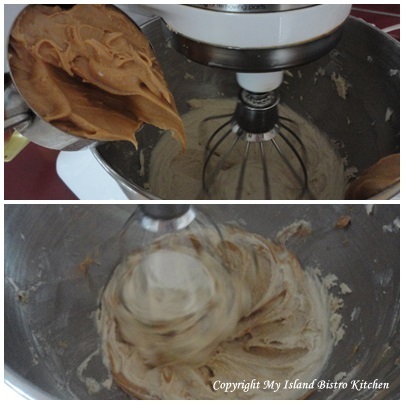 Either smooth or crunchy peanut butter may be used – whichever is your preference – in the cookies. In order to keep the cookies a bit soft, watch the baking time, checking them at the 10-minute point. 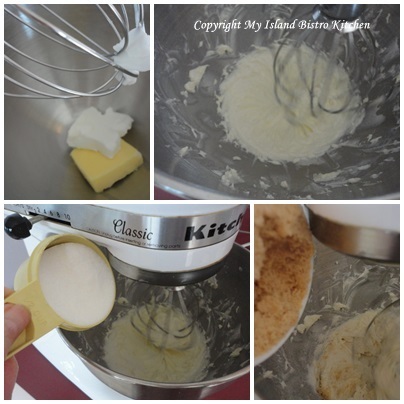 Cream shortening, and butter together. Beat in brown and white sugars until fluffy. 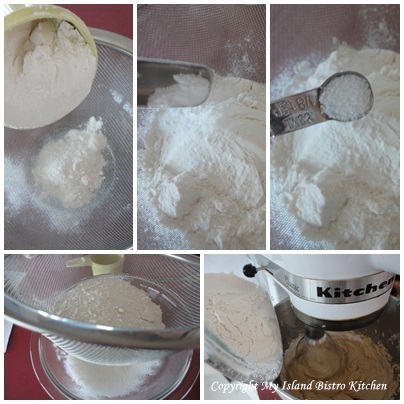 Sift flour, soda, and salt together. 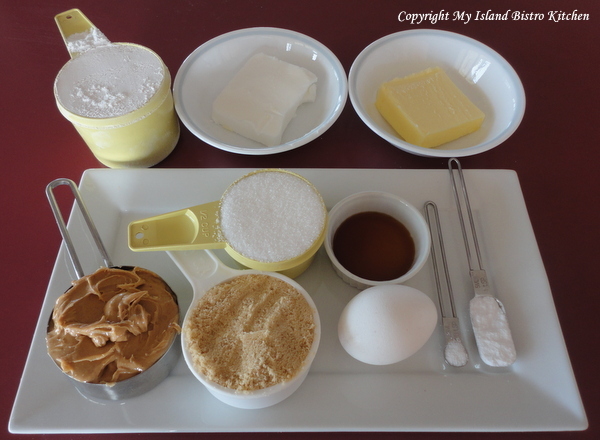 Add to wet ingredients and mix just until dry ingredients are incorporated. 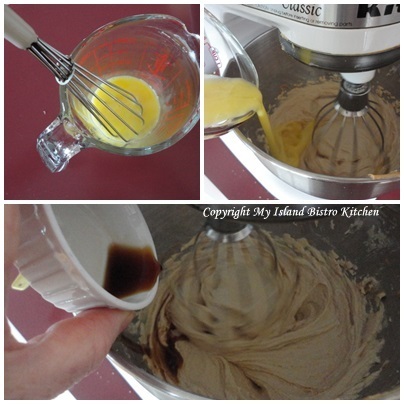 If dough is very soft, refrigerate for 30-40 minutes. 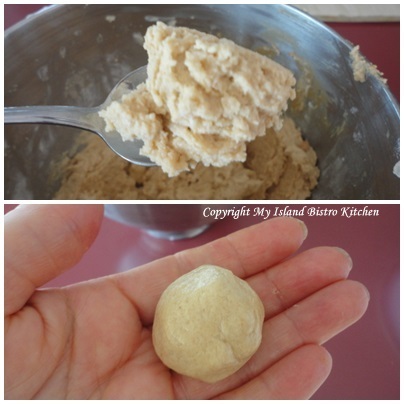 Shape dough into small balls about 1” in diameter. 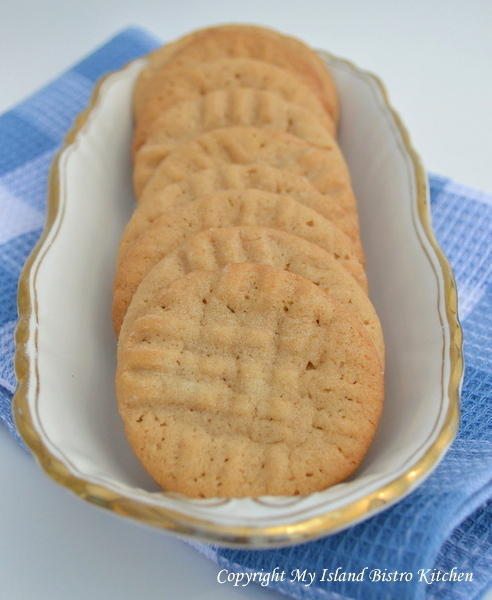 Place on parchment-lined baking sheet about 2 ½” – 3” apart as these cookies spread. 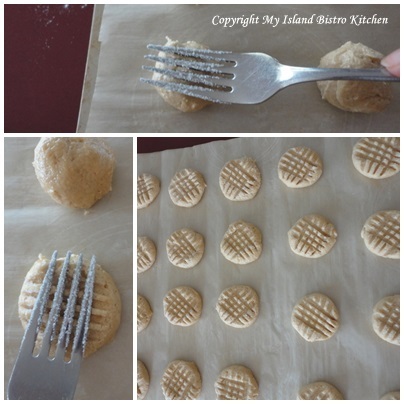 With fork dipped in sugar, press down cookies in a traditional criss-cross pattern with the tines of the fork. Bake on center rack in oven for 10-12 minutes. Cool on baking sheet for 2-3 minutes then transfer to cooling rack.